Hudson sprints and dives to make a good catch (Even though blocked by the catcher). This dive also injured Hudson’s ribs, which still make him day-to-day on the roster. On a popfly, Smyth makes the first out then turns and pegs the runner for the rare double play. Proving that every play is important, Hamlett sprints for a foul ball and lays his body out for an amazing diving catch. Two nominations in one week. Hamlett playing the field this time sprints for an opposite hit ball and slides under to make it look easy. Sure, it might look like a mess, but it was the last out of a long game, so we’ll let him in here. Shannon falls on the ball to secure the game against Superman’s Wheelchair. Was he bobbling? About Web Gems: Nominations can be made by anyone, manager, player, fan, rival wiffleball league, and are due by NOON each Thursday. The league office will review all nominees and submit up to five of them to be voted on by the public. Voting will be open from Friday until 10 AM on Sunday. 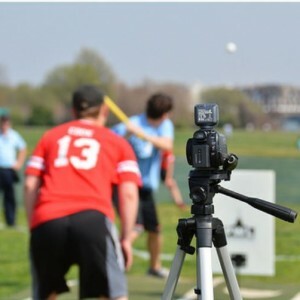 Submissions can be made by sending an email to webgem@potomacwiffleball.org, and MUST include the youtube link to the game, as well as the time (minutes and seconds) where the play occurs. Michael Burns of Suns Out Guns Out threw two perfect games to win POTW for Week 4. Just three weeks left in the Spring season and the weather should cooperate once again. High 60’s and single digit wind, we’d take it every week. Obviously, without the assistance of the wind, some hitters realized their home runs became flyouts and we had five perfect games last week. Five games…in which a team had no runner reach base. Ouch. This is really more of an indictment of the hitters than an accomplishment by the pitchers, right? The standings are starting to come together and the Barnburners could be the first team to clinch a playoff spot with either a win, or at least one loss by the other two teams in the Great Smoky Mountains Division. If the playoffs were held today, we’d have one new team in the mix, but lots of wiffleball left to be played. WEBGEMS, WEBGEMS, WEBGEMS – Look, we know you watch the game videos. The youtube stats are pretty clear, and a bit disturbing. What we don’t understand is why you’re not submitting good defensive plays you see as Webgems? Even in a light week, there are a couple of good plays. Send them our way. 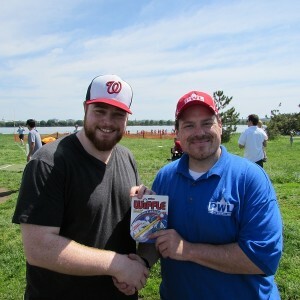 Just email the video link and the time stamp to webgems@potomacwiffleball.org and we’ll take it from there. Well this week we saw 4 perfect games. That’s right 4. So thanks to some good pitching and weak hitting, it makes the POTW nomination ballot have 4 pitchers and 1 hitter. Michael Burns (6 nominations, 1 win) of Suns Out Guns Out had one of the best pitching performances to date. Normally, you pitch one perfect game, you get nominated, so Burns decided to pitch two perfect games. In 12 IP, Burns had 6 strikeouts, on 24 batters faced. He also batted .400 with an RBI on the day. Spencer Howard (2 nominations, 1 win) is off to a great start this season, being nominated 3 straight weeks now. And when Morin had to leave for a new job in SanFran, Howard stepped up as the next pitcher in line — and pitched a perfect game against the Chuggin Chorizos (7 IP, 7 strikeouts, 14 batters faced). Howard on the day had 11 IP, 10 strikeouts, and gave up 2 hits. Batting, Howard was just .300 with a double. Adriano DeSorrento (6 nominations, 2 wins) of Nasty Boys has only given up 1 run all year, a solo shot in week 3 (in 47 IP), that’s crazy. Sunday was no different, Adriano pitched a perfecto against the DC Twits (6 IP, 12 batters faced, 6 strikeouts). On the day, Adriano had a line of 21 IP, 0 runs, and 15 strikeouts (held Chorizos scoreless through 15 innings). Batting, Adriano was .417, with a double. Rookie alert! Connor Dierman (first nomination) has been keeping new team SacBunt in games with his pitching. On Sunday, Connor gave up 1 hit in 2 games and had a perfecto against Besley (7 IP, 15 BF, 7 strikeouts). Overall, Dierman had 13 IP, 27 BF, 1 hit, 0 runs, and 17 strikeouts. Batting, he went .364, 1 homerun, and 3 RBIs — not bad Connor! Andrew Flowers (5 nominations, 0 wins) of Moose Knuckles is one of the most consistent hitters this year in the league. This week was no different for Flowers, batting .636, hitting 5 homeruns, 9 RBIs, and an OPS of 2.727. At this pace, he is a real candidate for the triple crown. The public vote counts for 50% of the overall total, and the league managers vote counts for the remaining 50%. About POTW: Each week five nominess will be announced for Player of the Week. The league, fans, and press will vote for the winner. 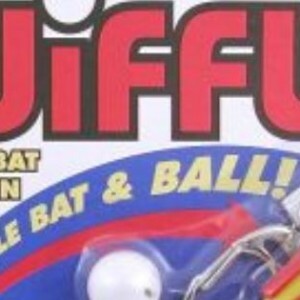 Winners receive a very limited edition wiffleball keychain. For a history of the award, check out Player of the Week History. 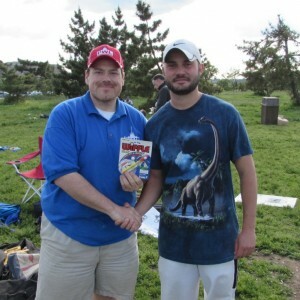 Greg Kenyon of the Chuggin’ Chorizos won Player of the Week for Week 3. Usually the most interesting thing in the weekend weather forecast is the moonphase. Waxing Gibbous in case you’re wondering. This Sunday though, something weird is going on. The people who do this sort of thing for a living are saying that the wind will be in single digits. Possibly as low as 6 MPH, not counting plane blasts. Obviously there will be a government shut down today, or the grass will be way too long for us to play. 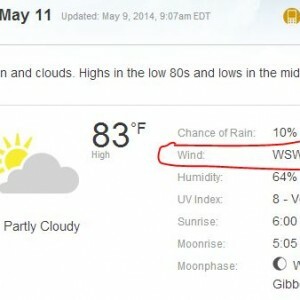 Something will prevent us having decent wind for wiffleball. Weird week with only 16 games as the Bald Beavers games were rescheduled. That means only one game at 10:30, so hopefully when the scorekeepers show up late the Commish only has to score one, not three games. This is also the final week for NWLA tryouts. Do you have what it takes to replace Matt Gagnon on the squad? Make sure you email the Commish and stick around starting at 2:30 PM this week on the Blue field for scrimmage games NWLA style. Even if you can’t attend the tournament, you’re welcome to scrimmage and see what unlimited fast pitch is like. REMINDERS – Don’t forget to do two things this week, and every week. Vote for Player of the Week and nominate a nice defensive play for a Webgem. Joseph Zarobila (1 nomination, 0 wins) of Moose Knuckles, has been having an up and down season so far, week 3 was certainly an up week though. Zarobila was limited to only 7 at bats, but made the most of them, batting .571 with 2 home runs, 5 RBIs and an OPS of 2.143 to help the Knuckles stay unbeaten. Spencer Howard (1 nomination, 1 win) got his first POTW award in week 2, and followed it up with another solid performance. Howard batted .571, had 2 solo homeruns, and an OPS of 2.000. It seems every week we have a Barnburner nominated, and this week is no different. Ty Fletcher (1 nomination, 0 wins) hasn’t been on base in 7 at bats, all season. On Sunday, Fletcher batted .700, hit a homerun, 3 RBIs and an OPS of 2.000. Kudos to whoever is getting this guy out so far. Well I suppose we couldn’t have just ONE Barnburner right? Enter Jack Shannon (7 nominations, 3 wins), batting .600 on the day, hitting a homerun, 2 RBIs, and an OPS of 1.900. In case you were wondering, the Barnburners have a run differential of +33 by the way. Greg Kenyon (first nomination) has basically put the rookie team Chuggin Chorizo’s offense on his back thus far. On Sunday, Kenyon had 4 homeruns, 6 RBIs, an average of .800 and an OPS of 2.800. Not bad for a rookie. 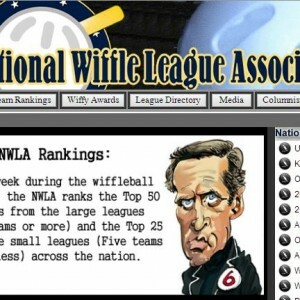 The inaugural weekly rankings of the country’s best wiffleball teams by the National Wiffle League Association were announced Friday and include six PWL teams. The rankings come out each week and include teams from all leagues recognized by the NWLA. The Blandsford Barnburners have previously held the top spot, including most of the 2013 season and were ranked #2 in the final 2013 rankings. In a shocking development, the Barnburners were dropped to #15 in the week one results. The NWLA weeks don’t match up directly with the PWL. The NWLA week 1 rankings include records for PWL teams for our first two weeks. The Moose Knuckles claimed the #2 spot vacated by the Barnburners. On the standings page, the current national rankings are included in a parenthesis following the team name. The final season rankings are included for previous seasons standings. 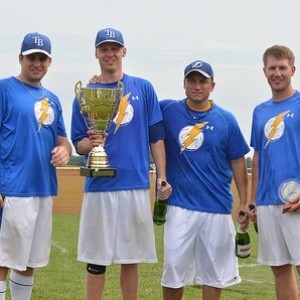 The reigning national champions of wiffleball, the Tampa Bay Wiffleball Lightening, will visit the nation’s capital in June for a series of scrimmage games against the PWL All Star team. TBW won the 2013 NWLA Tournament with a 7-0 record, after coming in as runner ups in 2012, with a 6-3 finish. Chris Harley, named Most Valuable Player in 2013 after leading the team both in batting and pitching, will join his brother Michael, manager Derek Linderman and fourth roster spot filler Shane Effertz for the DC trip. The visit has been scheduled for the weekend of June 21-22 to coincide with the Spring World Series weekend festivities which will include the All Star Game, Home Run Derby, and Champions Dinner. 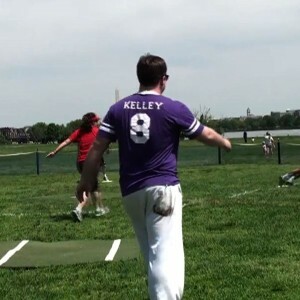 The exact schedule for the scrimmage games, which will be held at Gravelly Point, will be announced once the playoff schedule is set. PWL and TBW have met twice in the tournament both in pool play. TBW won both meetings, 18-5 in 2013, and staging a come from behind 7-4 victory in a late night game under the lights in 2012. The exhibition will take place just under a month before the 2014 NWLA Tournament which will be July 18-20 in Columbus, Ohio. The PWL team is still currently in the process of being selected. Open tryouts for all league members continue this weekend, and will wrap up next week. Commissioner Gallaway will ultimately select the final roster that will be sent to Ohio. The teams have consisted of six players the past two seasons, but there is movement in the NWLA to expand rosters this year. The PWL has competed in intra-league scrimmages before with the Kalamazoo Wiffle League from Michigan and there are closer NWLA teams to DC. The selection of TBW for the practice sessions was not random, however. “Absolutely I want our team to practice against the best team in the country. No doubt about it. You don’t get better playing weaker opponents. You get better playing better teams. Hosting WESEM, or HWL or KWL wouldn’t help us, we’ve beaten them. Been there, done that.” Gallaway said. As is the case with other national championship teams visiting Washington, the Lightening are expected to visit the White House and be received by President Obama. Failed to connect to flickr.com!